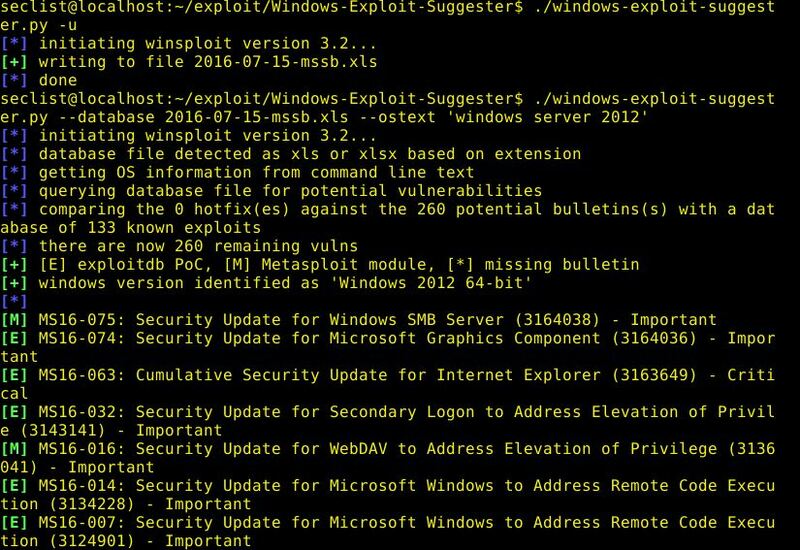 Browse: Home / Winsploit – Windows Exploit Sugester v3.2. — MS16-074 : Windows – gdi32.dll Multiple DIB-Related EMF Record Handlers Heap-Based Out-of-Bounds Reads/Memory Disclosure. — MS16-063 : Internet Explorer 11 – Garbage Collector Attribute Type Confusion. 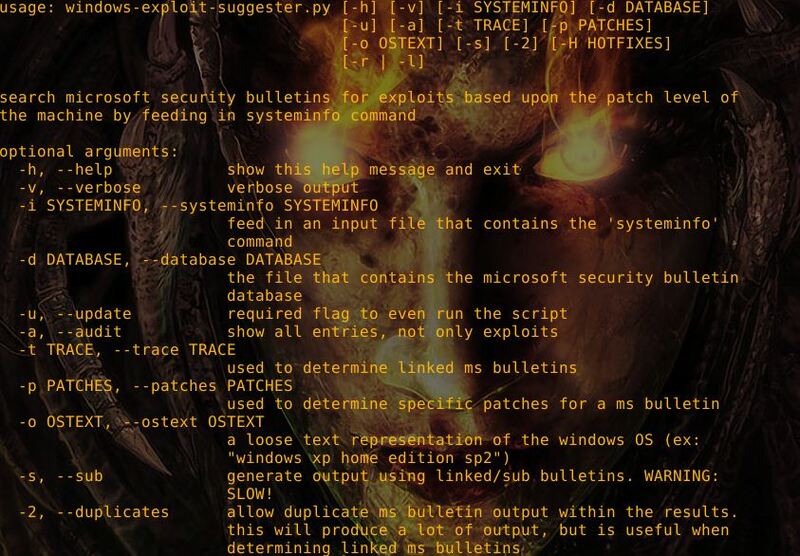 — MS16-042 : Microsoft Office Excel Out-of-Bounds Read Remote Code Execution. 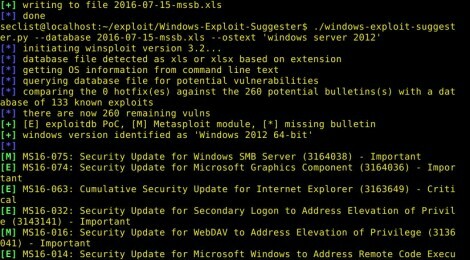 — MS16-059 : Microsoft Windows Media Center – .MCL File Processing Remote Code Execution. –+ Microsoft Windows 8.1/10 – Secondary Logon Standard Handles Missing Sanitization Privilege Escalation. –+ Microsoft Windows 7-10 & Server 2008-2012 (x32/x64) – Local Privilege Escalation. 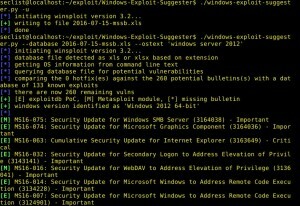 — MS16-014 : Windows 7 SP1 x86 – Privilege Escalation. — MS16-007 : Microsoft Windows devenum.dll!DeviceMoniker::Load() – Heap Corruption Buffer Underflow. ← AVCLASS – A Tool for Massive Malware Labeling.